Don’t have your own 3d printer? Want to test your product with 3D printing before moving to injection molding? 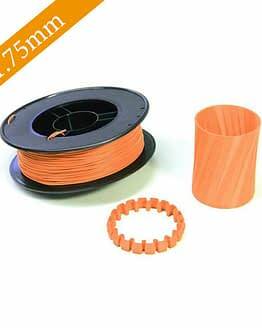 Our team understands how to 3D print accurately and quickly with WillowFlex. We can produce the prints you need when you need them. 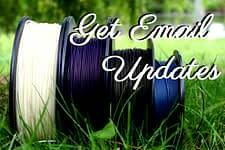 After providing us with a file (ideally as .stl) we will provide a quote to be approved and have the 3D printer started within one or two days. 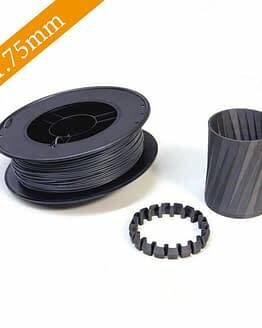 For complex or larger volumes of WillowFlex prints, we work with 3dk-lab.berlin to produce print high-quality, small series parts made of WillowFlex. 3dk has 10 years of experience in 3D printing, plastic material development and industrial production to ensure the integrity of your results. 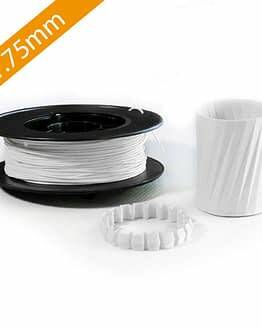 For rush orders we can also place you in touch with 3D print services in the states.It has never been easier to develop your dream product in WillowFlex. If you want more than one color, please note it in the description.